Mischief or Just a Diversion? My eyes almost popped out as I watched this. Two coyotes were having a fabulous time playing in a yard — I had not seen coyotes play in a long time, so this was a real treat for me: there was joyous wrestling and chasing. Then one of the two happened upon a possible toy — a bright green garden hose — a novel find. One coyote went over and lifted it up in its mouth and began tugging on it — trying to move it. “Toys” are most often played with alone unless there is going to be a tug of war or a chase about it. But the hose was rather cumbersome and not very maneuverable so the coyote couldn’t run off with it or play tug-of-war with it. I thought it would soon be dropped. Instead, the coyote stopped tugging, and within 30 seconds the hose had been sliced in two. Well, there was one thing you could do with an unyielding hose! Afterwards the coyote looked around — it was almost as if the coyote was trying to see if anyone was watching — but the coast was clear (except for me, and I didn’t count). The coyote proceeded to another section of the hose and tugged on it for a moment before chewing through that! “Done, again, in 30 seconds”. Maybe that was what hoses were for? After this second cut, the coyote walked on a short distance and urinated: “take that”. Hmmm. 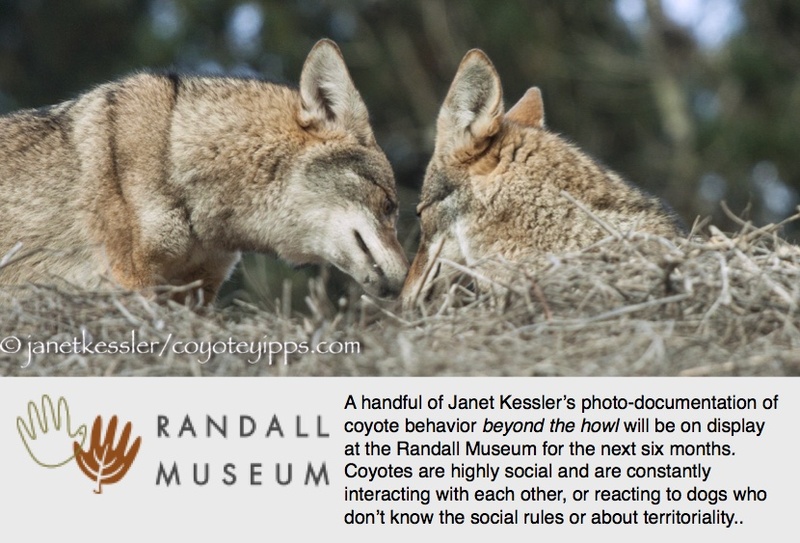 Coyotes are very intelligent and can be very purposeful in their activities. They are known for creating diversions for themselves, but in this case, the thought occurred to me that maybe there was more going on than that — could it be that the coyote didn’t like the hose? Could it be that the coyote had been sprayed by a hose? It was just a speculative thought. Photos of the first “slice” are in the gallery above; and those from the second “slice” are in the gallery below. Previous Profile by Joel Engardio for the San Francisco Examiner Next Goodwill Teasing!